Founded over 30 years ago by Steve Alexander, Wolfram is the only U.S. Manufacturer of metal halide lamps utilized in filming motion pictures. Combining years of design and manufacturing knowledge, we stand as a global leader in producing the highest quality, most durable, high intensity discharge lamps in the business. From movie sets to stage and studio lighting, we can provide solutions to your entertainment lighting needs as we lead the way in cutting edge technology. Wolfram is also the industry leader in service, providing customers with a 72 hour evaluation guarantee - where as the industry standard is 90-180 days. 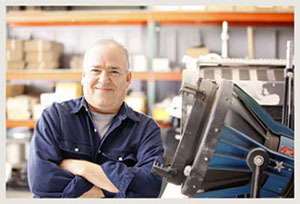 Wolfram's specialists are available to answer any technical questions and address all customer needs. All Wolfram Tru-Arc lamps have hot-strike capibility, and are compatible with all existing metal halide fixtures and power supplies, including the new 1000hz ballasts. Our Technical staff thoroughly tests each lamp to ensure top performance even in the rigorous conditions found on today's film locations. With our years of expertise we are able to create custom lamps, designed to fit your creative needs. Steve Alexander - Founder of Wolfram Inc.